This page is dedicated to the education and professional work of Juan Carlos Lopez. 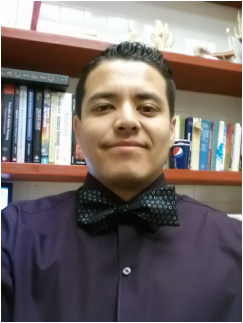 Juan is currently pursuing his Master's degree in Kinesiology/Athletic Training at Fresno Pacific University. He is experienced in care and prevention of athletic injuries, rehabilitations techniques, administration and insurance management. Please click on one of the above labeled links for additional information regarding his biography, personal and professional philosophies, experiences, education, and work, Certifications, blog site. Fell free to contact Juan Lopez using one of the links on the "About Me" page.